Civil engineering design software allows users to draft complex 3D designs of municipal buildings and structures. These tools include those with functionality for railway modeling, road and highway design, and mapping tools—essentially helping with anything pertaining to the city’s infrastructure. These tools have the functionality to help in every stage of the design and construction process, including drafting, designing, visualizing, analyzing, and more. These solutions can assist engineers in determining factors like cost, resourcing and scheduling. Although they are intended for structural engineers, civil engineering design platforms can be utilized by engineers in nearly every subset of the field. If they are lacking the specific functionality, civil engineering design software can typically integrate with general-purpose CAD software. Civil Engineering Design reviews by real, verified users. Find unbiased ratings on user satisfaction, features, and price based on the most reviews available anywhere. Esri CityEngine is 3D modeling software for quickly creating large urban environments. The environments you choose to create can be based on real-world data or can be completely conceptual. 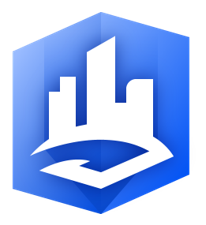 CityEngine saves you time by using rules to automatically create the urban environment based on your input. You can import 3D models you've created in other software to create context around them and export your entire environment into visualization tools, game engines and VR experiences. AutoTURN is the industry standard swept path analysis software for transportation engineers, planners, drafters, and architects around the world. From concept through construction, AutoTURN ensures your projects will safely accommodate vehicles movements and meet operational requirements. AutoTURN is field-tested and proven to be the most accurate swept path solution available. Site3D is a fully featured software product for the engineering design of highways, drainage and residential developments. Quickly and accurately design whole sites including roads, junctions, roundabouts, footways, surface interfacing, contours, volumes, drainage, housing and more. Site3D is a powerful software tool for the 3D engineering design of road schemes and infrastructure. 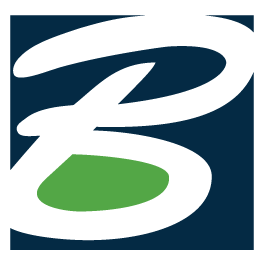 Running atop Bentley’s flagship product, MicroStation, InRoads Suite provides complete drafting capabilities, powerful mapping tools, and design automation for civil transportation professionals. InfraWorks 360™ preliminary engineering and design software improves your infrastructure project outcomes throughout the asset lifecycle. Make decisions in the context of the real world, not the CAD world. Combine and connect data to better create, view, analyze, share, and manage information anywhere, on any device using the power of the cloud. Used by thousands of consultants, counties, companies, universities, and government organizations worldwide. Our clients love the simplicity, ease-of-use, speed and power of RoadEng®. RoadEng® is a completely different approach to road design - with an easy-to-use interface and real-time interactivity. It can add speed and power to your next corridor design project. • Rural Road & Highway Design • Rail & Pipeline Corridor Projects • Forest & Resource Road Design • Stream Reconstruction KEY BENEFITS: • Quick Learning Curve | Be up and running in hours with little or no training with RoadEng®'s easy user interface. 90% of users do not require formal training. • Design start to finish, and everything in between... Enter survey data, create horizontal & vertical alignments, calculate earthwork quantities, create output sheets. • Real-time interactivity | See the data. Change the design. No waiting around. RoadEng® works with you to build accurate models, design better alignments, and save earthwork costs. • Focus on engineering, not drafting | Not just for CAD specialists. Our suite of products has been designed for busy engineers. • Easily output & share | Create .pdf output sheets. Share DWG, DGN, and LandXML files with other programs. Our civil design package works alone or can integrate into other engineering programs. arlson Survey is designed for use for land surveying. It provides a full tool kit for surveyors with everything from network least squares to surface modeling. Users get the ability to work seamlessly between the office and the field and they can establish company-wide design styles to ease and speed their work. HydroCAD combines the best of TR-20, TR-55, and SBUH, plus built-in hydraulics, graphics, automatic database, and on-screen routing diagram in a single program. (see comparison table) The result is the fastest, easiest, and most capable stormwater modeling system available. We call it HydroCAD because it brings the benefits of Computer Aided Design to hydrology, while not requiring any other CAD software. However, HydroCAD-10 now offers direct extraction of subarea data directly from AutoCAD®, without any other software. An integrated design system for civil engineering infrastructure, including roads, earthworks, sewer, water & stormwater networks. OpenRoads Designer CONNECT Edition, the successor to Bentley’s industry leading civil engineering brands InRoads, GEOPAK, MX, and PowerCivil, is a truly innovative design application, built to address the demands of today’s evolving infrastructure industry. By blending traditional engineering workflows for plan, profile, and cross-sections with 3D parametric modeling, OpenRoads Designer enables the model-centric creation of all your design deliverables. This application supports all aspects of a detailed roadway design including survey, geotechnical, drainage, subsurface utilities, corridor modeling, analysis, and quantification. It is a comprehensive, multi-discipline 3D modeling application that advances the delivery of roadway projects from conceptual design through construction. OpenRoads Designer provides the latest technology and tools you need to efficiently design, model, and produce project deliverables in a dynamic, interactive, and parametrically enabled environment. Softree Optimal is a Mathematical Optimization tool for Geometric Design. It optimizes the vertical alignment of a road created in any civil design program to minimize construction costs, save engineering time, and allow you to evaluate design parameters like never before. Based on 5 years of cutting-edge mathematical research in conjunction with the University of British Columbia, Softree Optimal proposes a new way of thinking about corridor design. > In the Preliminary stages, compare and review alignment options. In the Finalized Design stages, optimize your profile further to identify additional earthwork cost savings. > Automate the vertical alignment process to generate your lowest cost alignment based on user-defined earthwork and constraints > Quickly compare multiple alignments > Rapidly evaluate the impact of changes to various design constraints > Check the feasibility of proposed designs and constraints > Save time and save construction costs in ways that are not possible with manual design. Available in four versions: Softree Optimal for RoadEng Softree Optimal for Civil 3D Softree Optimal for 12D Softree Optimal for Other Design Software Softree Optimal saves an average of 15-20% off the earthwork costs of a project. ATIR Engineering Software Development Ltd was founded in 1983 with the aim of developing structural analysis and design software that would be both sophisticated and comprehensive but at the same time easy to use for the professional engineer. During the last three decades ATIR's staff of software and structural engineers, with the help of academic experts, have created versatile and powerful structural engineering programs for the construction industry. STRAP, our flagship program, covers the entire design process from analysis to the production of drawings and schedules. The program includes: •	Design modules for calculating structural steel and cold-formed steel, reinforced concrete and post-tensioned elements subjected to static, dynamic, wind and seismic loads. •	A bridge load and analysis module. •	AutoSTRAP, a BIM (Building Information Modeling) module to create a structural model from architectural drawings. STRAP offers the engineer a comprehensive, authoritative and affordable tool for use in six different languages and is fully compliant with many international building codes. SewerCAD is Ideal for system design and the rehabilitation of sanitary sewers. A powerful user-friendly CAD package with advanced toolkits for the engineering and architectural fields. Advance Design was specifically developed for industry professionals that require a superior solution for the structural analysis and design of reinforced concrete and steel structures. GuideSIGN provides engineers a fast and easy way to design even the most complex highway and roadway signs. SignCAD is a quantum leap in CAD technology. SITEOPS is a tool for engineers, developers, and land planners to better identify cost effective solutions to the complicated and costly process of site development. 12d Model is a powerful terrain modelling, surveying and civil engineering software package. It allows quick and high quality production in a wide variety of projects. ArCADia is a program supporting 2D and 3D design that, due to its operational philosophy and the same data saving format (DWG), closely resembles the Autocad program. ArCADia-ARCHITECTURE is an industry-specific module of the ArCADia BIM system, designed to enable the creation of comprehensive, interdisciplinary designs of buildings and offers analysis of collisions among structural elements and installations. ArCADia-ELECTRICAL INSTALLATIONS is an industry-specific module of the ArCADia BIM system, with a program designed to enable prompt and efficient preparation of electrical and lighting system drawings, as well as the performance of verifications and the calculations necessary for designing. ArCADia-SEWAGE INSTALLATIONS is an industry-specific module of the ArCADia BIM system, designed to allow the object-oriented insertion of drawing elements on architectural background drawings, including the creation of design diagrams and generation of extensions and profiles. ArCADia-WATER SUPPLY INSTALLATIONS is an industry-specific module of the ArCADia BIM system, designed to allow for the object-oriented insertion of drawing elements on architectural background drawings, including the creation of design diagrams and the generation of three types of axonometric projections. Bridge Designer is an interactive design system that provides the ability to create, edit and manage productivity with features to help with design and analysis. TechSoft Engineering brings Simulation Driven Product Development based on ANSYS simulation software, while reducing costs, times and increasing performance. Civil Site Design provides highly efficient and simple-to-use design tools for residential and commercial subdivision design, highways, road reconstruction, site grading, surface creation, storm water, sewer and pipeline design. And it works with Civil 3D, AutoCAD and BricsCAD. CivilStorm performs analysis of all aspects of stormwater systems: rainfall, runoff, inlet capture and bypass, gravity and pressure piping, ponds, outlet structures, open channels, culverts, and more. diolkos is an autonomous road design software that covers the cases of road design projects including highways, local and collector roads that provides 3D visualization, digital terrain models, and more. Advance CAD is 2D /3D CAD software for creating and modifying native DWG™ files, dedicated to the AEC industry. HEADS Pro is the most complete software for engineering applications of Federal & State Highways, Access Controlled Expressways, Freeways, Urban streets, Low cost rural roads, Tunnels, Junctions, Intersections, Multi Level Grade Separated Interchanges, Pavement design for Flexible/Rigid/Overlay and AC Mix in AASHTO & IRC Standards and Drainage Design. InfoSewer is a 1D sewer modeling software used for capacity analysis and planning of gravity sewer systems. It helps you pinpoint the cost-effective ways to reduce overall system flows to restore or increase capacity. InfoWater gives you answers to ‘what happens when’ questions, so you can make decisions with confidence. InfoWorks ICM is an advanced integrated catchment modeling software. You can model complex hydraulic and hydrologic network elements quickly, accurately, and collaboratively. InfoWorks ICM helps you plan for capacity improvements, system expansions, and emergency scenarios. InfoWorks ICM (SE) operates with all the analysis features and capabilities of InfoWorks ICM for sewer collection system modeling. If 2D modeling is not required for your needs or project, InfoWorks ICM (SE) gives you a 1D modeling solution complete with the advanced features provided by InfoWorks ICM. InfoWorks WS Pro enables water companies to assess supply to individual customers. It also means that supply deficiencies or pollution incidents can be investigated and fixed quickly. Why Use Civil Engineering Design Software? Who Uses Civil Engineering Design Software? Some civil engineering design solutions can be used as an all-encompassing tool, including CAD capabilities, that is geared toward civil engineering. Others simply integrate with separate tools so they can be optimized for civil engineering purposes. These tools can be used for any subset of civil engineering, including but not limited to structural engineering, environmental engineering, and land surveying. Civil engineering design tools have specific functionalities that ensure engineers in any subset can utilize the software in ways specific to their field. Through their project management functionality, civil engineering design tools can help engineers determine factors such as cost, resourcing, and scheduling. This is accomplished through a variety of formulas and theories built into the algorithm of the software. After a project is completed, civil engineering design tools can help engineers monitor the structure. Overall, civil engineer design software has proven to help cut costs and limit human error associated with these projects. Standardizing the industry – Civil engineering projects require a lot of moving pieces, with many engineers collaborating on the work. Because of that, it’s necessary to ensure the entire team is on the same page. Civil engineering design tools enable users to easily save and share designs to improve collaboration amongst team members. Some solutions also offer the option to print designs so that a physical copy can be shared. Fast calculations – An important aspect of civil engineering is that calculations must be exact so the structures being constructed are safe and stable. With this software, these calculations can be made much quicker. Structures often have to go through some variation of redesign, so civil engineer design platforms can allow engineers to quickly accomplish that while still keeping up with accurate calculations. Some tools even have formulas built in to include safety standards. Civil engineering design tools are most commonly by those in the field of civil engineering itself. A civil engineer designs and supervises the construction of major public works projects, which can range from buildings to highways to airports. This software helps with every step of these projects, from planning to design to execution. Some civil engineers focus on a more niche function of the field, such as transportation engineering, structural engineering, or geotechnical engineering. All civil engineering design solutions have the end result of helping to create various infrastructure within a community. However, some software focuses on different aspects of that process. Planning – Some civil engineering design solutions are intended to be used when it comes to planning out the design of a structure. This can include sequencing out the necessary steps to reach completion of construction and providing teams with the proper tools so they might better collaborate during this step in the process. Design – 3D design capability is available in a number of civil engineering design solutions. Engineers can create a 3D model of their structure and then render it in a fully realized environment so that they may manipulate the structure from any angle. The following features are commonly found in civil engineering design software. Drawing – This feature enables users to draw basic lines and shapes to act as the foundation of the design for their structure. 3D modeling – This functionality allows users to create 3D models of the structures they are designing. These models can be fleshed out with realistic details so they can look as close to what the engineer envisioned as possible. Editing – Civil engineering design tools provide the capabilities for users to edit their designs as they deem necessary, with functionalities such as erase, trim, undo, and more. Rendering – This feature takes a 3D model and places it into a fully realized 3D environment, so that users can better visualize what their final product will look like. The following features may be found in civil engineering design software but are not necessarily guaranteed to be included in every solution. File interoperability – This ensures that the file created from the solution is compatible with a number of advanced design and imaging applications. File size – These solutions are able to support a range of file sizes without impacting the user experience. Sequencing – Some tools provide the option for users to sequence steps. That means they can create and animate the steps, materials, and building crews necessary to complete the structure. Sustainable structures — Sustainable designs have become an incredibly relevant trend within the construction and engineering fields. That means there will be an increase in demand for smart materials, intelligent electrical grids, smart buildings, and more. Civil engineering design software solutions will likely adapt to accommodate these trends. Advanced materials — The civil engineering industry is starting to introduce advanced materials that are able to adapt to external conditions. As this becomes more relevant in the industry, civil engineering tools will change to accommodate these kinds of designs. 3D printing — 2017 saw a surge in demand for 3D printing. That trend recently reached the civil engineering space, as 3D printing is capable of turning designs created within civil engineering models into a physical model. Learning curve — Civil engineering is a complicated field; therefore, the software can prove to be difficult to master. The learning curve may especially be difficult to those who are newer in the field. Storage – Those working in civil engineering design software solutions often end up creating designs that need to be saved as large files. This means that civil engineering design platforms may end up taking up a large portion of the memory on a user’s computer. Cost – Since it can carry out complicated functions, this software tends to be on the more expensive side, which could make it too costly for small businesses and individual users. General-Purpose CADThis software enables users to create 2D and 3D drawings and models of structures. Many civil engineering design solutions offer CAD capabilities to help users create the foundations of their designs. 3D Rendering3D rendering tools take previously made 3D models and place them into fully realized 3D environments. Civil engineering design platforms often include rendering capabilities as well, so users can visualize their models as realistically as possible. Hi there! Can I help you find the best Civil Engineering Design solutions?